After a summer release on PS4, Everybody's Gone to the Rapture is back on PC and will be available to all tomorrow. The guys at The Chinese Room were kind enough to send us a review code to get you some nice videos before the game ships, so here they are with an updated version of our review. We have had a few performance issues as you'll see and read, but the overall experience remains good provided you don't absolutely want to max out the game. More details inside. PC used for review: i7 6700K @ 4.5 GHz, 16 Go RAM (DDR4), Windows 10, SLI Nvidia Geforce GTX 970 Gigabyte OC. The first few moments of the game are, quite frankly, unsettling and confusing. Dropped into a small English town with no direction, the player will slowly begin to piece together the tragic fate of the town. Spectral events punctuate the silence regularly pushing players to wander an open world in search of answers. Over time, these light echoes gradually manage to form enough of a narrative foundation for players to follow. Brief dialog sequences give us insight into the world before the end of the world as families, couples, and apparitions appear. This is the core design of the game. Make no mistake, this is a purely narrative driven experience just like Dear Esther before it. Each area of the village offers the chance to experience the chance to literally follow the ghosts of one of its inhabitants across town in order to discover what ultimately became of them. You spend most of your time playing simply following these balls of energy around the world until you've seen all that there is. At this point night falls on this area and you're guided to the next key event. The game world is fully open ended enabling the player to tackle these events as they please but, even out of order, The Chinese Room manages to keep the story moving forward. Over time the links between each character strengthens and the dark truth of their past is slowly revealed. At this point in the review, it should be noted that Everybody's Gone to the Rapture is the kind of game that requires you to take your time. As you can imagine, we enjoy exploring every nook and cranny of the world in search of light echoes and radio snippets. While the world may seem a bit limited at first glance, that is not the case at all – you can become both literally and figuratively lost in this world. Of course, despite the freedom of movement, progression is ultimately quite linear though there is still plenty to find if you enjoy exploration. This is not a fast paced experience and we highly recommended taking your time soaking up the world around you. Some may find this pace to be a bit frustrating but, for us, it only served to invite us deeper. Another point of contention for this sort of game falls to the lack of interaction. While more open ended, interactivity remains similar to that of Dear Esther. There just isn't a lot for the player to do outside of walking and experiencing the narrative. Sure, there are radios to tune, doors to open, and the occasional gyro puzzle, but the core gameplay is focused entirely on observation and consumption. Yet, thanks to its beautiful CryEngine 3 powered world and haunting soundtrack, the experience remains captivating nonetheless. Captivating is precisely the world we would use to describe Everybody's Gone to the Rapture, in fact. We were mesmerized by the world to the point where it was difficult to put down the controller at the time of its first release. Now on PC, the magic still works like a charm, though it might also be a bit of a disappointment to some since the game does not seem to be able to provide a smooth experience when you select high or very high settings. The first option you should dial down is the object detail option, which is apparently the most demanding of the bunch. Lowering the quality of shadows might help too to a certain extent, though even for us it did not prevent a few short drops. The silver lining is that even on low, the game still looks very nice. It's also important to mention that Nvidia is currently working on an SLI profile for the game, but that you can use the Evolve profile with Nvidia Inspector until it's ready. AMD users should be fine as the latest driver update included crossfire for the game. If you can't stand fluctuating framerates and your rig lacks the horsepower, you can lock the game at 30 fps, though in our experience, it wasn't smooth enough to be enjoyable. It might be different on a different rig, so do not hesitate to try. If Everybody's Gone to the Rapture does not address the needs of all players, it at least speaks to an undoubtedly large audience eager to dive into another narrative driven experience. Immersion in this world requires one to accept its slow progression where contemplation reigns supreme and gameplay is limited to its most simple expression. Those who choose to embrace this adventure will find an experience well worth the time. 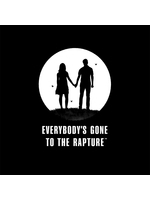 With a surprisingly decent length for such a game, we estimate around 5-6 hours provided you fully explore the world, Everybody's Gone to the Rapture may be a bit dull for some players. For others, though, they will be proud to declare: I too have gone to the rapture. Yeah it looks slow paced game. gfx are neat and simplistic not overdone like most games and colors are natural so that is good part. I am not sure they patched it for performance otherwise would have considered it for PS4. Enjoyed this Title on PS4. If you're into, puzzle/mystery/discovery titles, pull the trigger. 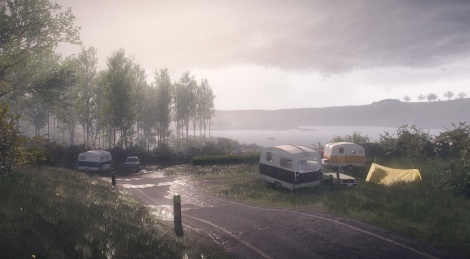 looks nice, sort of reminds me of the vanishing of ethan carter. I would imagine if i enjoyed Dear Esther i'd enjoy this? Definitely intrigued by it and it looks utterly gorgeous. performance wasn't so much an issue in something this slow...it was the pace. even with the sprint button held you moved SO SLOW. i'm not the only one who did :P it was mentioned in every review for the "game". when you're entire purpose in the game is to explore a relatively large country village, it would have been nice to move a bit faster. i mean, the movement speed is so slow i often didn't bother backtracking to find more story "nodes" because it was like a trial of patience. i've never seen a slower movement speed in a first person game before. just now noticed it. hmmmm, oh how our brains work. everyone seems to be normal with it. KORN is right. The pace was slow. So on what machine you had slowdowns on high and very high? I would hope that an overclocked 980Ti will be able to sustain at least 30fps in 1080p at max settings. EDIT: ok, I did not notice the specification of the rig. So 970 in SLI. As stated in the review (and yes, that too you had to read :p), there is no official SLI profile but Nvidia was supposed to release one in time. It will most certainly come with the next driver update. 30 fps will be no problem, but the fps cap in the game doesn't feel smooth on our rig. Great graphics, story and music but zero gameplay. I love story-based games but I want to do something more than just pressing the stick forward. This could have been great but as it is it was mostly boring. Too bad, they could have copied from The Vanishing of Ethan Carter and offer at least a few puzzles to make it interesting. Yeah may be the slow paced would not make performance look bad either. Now that I think about it. Honestly I wouldn't even call this a game. It's a walking simulator with close to zero interaction or an actual gameplay. Not to mention barely any involvement with plot or in-game events. Requires tons of patience (or a hell of a lot interest with the general idea) to get through the whole process. Personally speaking, I enjoyed Ethan Carter way more than this.